There has been a lot of realignment in college sports in recent years and it hasn’t been good for traditional rivalries. My Alma mater – Syracuse – no longer plays Georgetown every year in basketball. The Backyard Brawl between Pitt and West Virginia is no more. The so-called Border War between Kansas and Missouri is history. Closer to home, after 99 meetings in basketball, Cincinnati and Louisville don’t currently play each other. After 160 meetings, Xavier and Dayton don’t square off. The bottom line is, if your school still has a great rivalry – cherish it – and there is no rivalry quite like the Skyline Chili Crosstown Shootout. It is the best intra-city rivalry in college basketball. Two outstanding schools – just 3 miles apart – that happen to have two of the best programs in the country. Cincinnati is one of only 16 schools that have been to the NCAA Tournament each of the last 4 years. In its history, UC has made 6 trips to the Final Four and won 2 NCAA titles. Xavier is one of only 13 schools to go the NCAA Tourney in 8 of the last 9 years and the Musketeers have made 5 trips to the Sweet 16 in the last 11 seasons. This rivalry has featured legendary players like Oscar Robertson, David West, Kenyon Martin, and Byron Larkin. There have been last-second dramatic shots by unlikely heroes like Lenny Brown, Joe Stiffend, Jamal Walker, and Jihad Muhammed. There has even been a million dollar half-court shot by a fan named Theo Nelson. And who could forget his Vontaze Burfict-like tackle of the Blue Blob after the shot went in. My first Shootout as a fan and broadcaster was “The Lenny Brown” game. 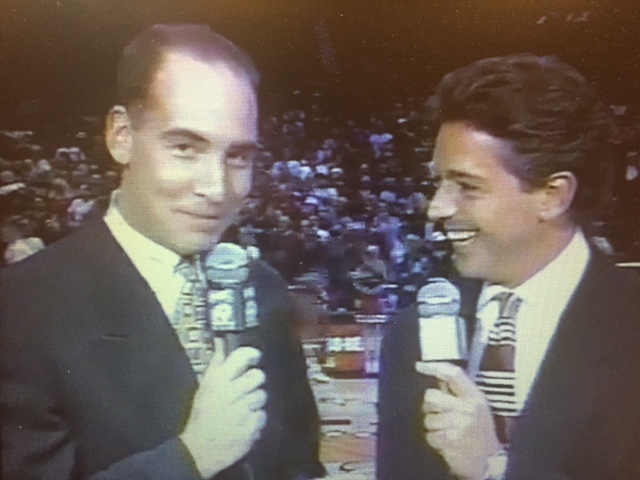 I was the color analyst for Fox 19 with Thom Brennaman on play-by-play. And I still had hair. Since 2000, I’ve had the privilege to broadcast the Crosstown Shootout every year on 700 WLW. As the Voice of the Bearcats, it’s the only game where I dread the possibility of losing more than I enjoy the potential of winning. That’s one of the things that makes this game so distinct. If your team loses, you will come in contact with fans from the other team nearly every day until the two schools meet again. When you think about it, the Crosstown Shootout is a lot like its sponsor. If you didn’t grow up here, chili is a stew that comes in a bowl with ground beef and kidney beans. But if you’re from Cincinnati, chili is a runny sauce served on spaghetti and topped with a giant helmet of cheddar cheese. The rest of the country can scoff, but we know that it’s delicious. 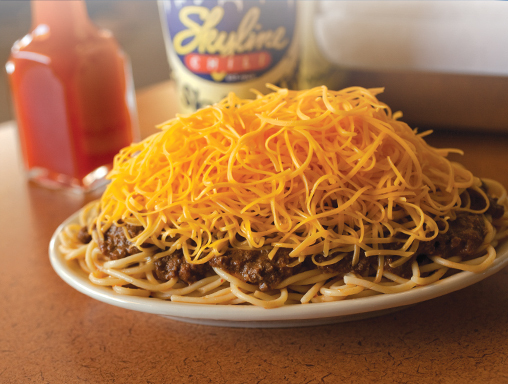 Similarly, the Skyline Chili Crosstown Shootout is a once-a-year treat and it uniquely ours. It’s a five-way with great players, legendary coaches, passionate fans, thrilling finishes, and high stakes. As rivalries disappear, thank heavens The Shootout is alive and well.